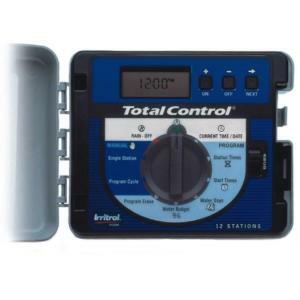 The easy to program Total Control® R Series outdoor controller from Irritrol® is engineered to meet a wide range of watering requirements. Pair it with the optional Climate Logic® Wireless Weather Sensing System to make water management a breeze. The modular design allows for simply changing the face panel module to change station outputs. Four programs with five start times each, for a total of 20 possible irrigation cycles per day should meet all your needs.